Kayla Tausche ’08 had dreamed of joining the foreign service and seeing the world. 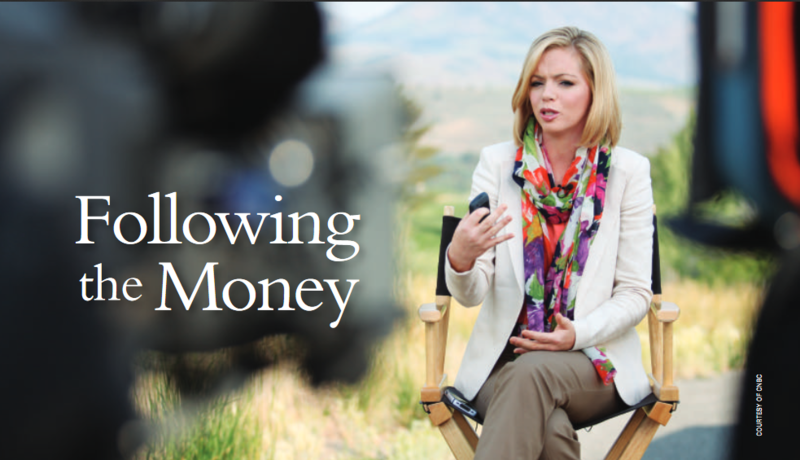 Discovering journalism during her sophomore year at UNC changed her professional path, but the second part of her dream came true: The rising star for financial news network CNBC regularly reports from far-flung capitals and beyond. And the world sees her: Tausche’s stories for CNBC reach approximately 390 million homes worldwide, including more than 100 million in the U.S. and Canada.